Our purpose is to mobilize every Christian to get off the sidelines and into the cultural conversations of the day in ways that honor Jesus. Update: Beginning Monday, February 4, 2019, Carmen will move from midday to the morning drive as the host of a new Faith Radio show, Mornings with Carmen LaBerge. From 6-8 a.m. central listeners will be equipped to bring the mind of Christ to bear on the headlines news of the day while Carmen converses with newsmakers, ministry leaders, authors and journalists. You can hear it on the FaithRadio app, streaming at MyFaithRadio.com, on teresterial radio on the Faith Radio network or via podcast. If you want to carry this program on your station, please contact Neil Stavem at Faith Radio. Email: nlstavem@unwsp.edu or call (651) 631-5030. The Reconnect with Carmen LaBerge is a Christian worldview media ministry including a daily two-hour talk-radio program, daily one minute cultural commentary, podcast, and website. The Reconnect, which launched in April of 2016, was the radio arm of the Presbyterian Lay Committee and Reformation Press. The Reconnect with Carmen LaBerge was recognized by the National Religious Broadcasters (NRB) as the 2018 Radio Program of the Year. 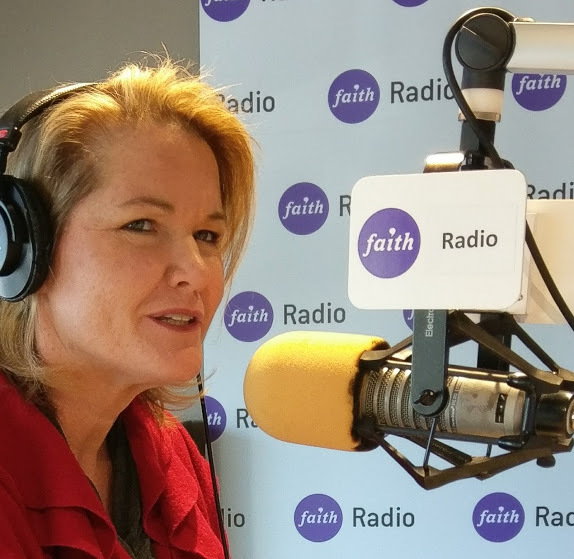 From March 2018-January 2019 Carmen hosted the nationally syndicated Faith Radio Network’s midday program, Connecting Faith with Carmen LaBerge. On February 4, 2019, Carmen moved from midday to the morning drive as the host of a new Faith Radio show, Mornings with Carmen LaBerge. From 6-8 a.m. central listeners will be equipped to bring the mind of Christ to bear on the headlines news of the day while Carmen converses with newsmakers, ministry leaders, authors and journalists. Carmen LaBerge is also an author and speaker. Her first book, Speak Truth: Bring God Back Into Everyday Conversations was released September 2017 by Salem Media (formerly Regnery Faith). Carmen has conducted hundreds of interviews with widely respected influencers, reporters, authors and leaders. She is a sought after speaker and teacher and thrives in town-hall style Q&A’s interacting with the real questions people are facing in the real world as believers seek to bring God back into every conversation. Find more about Carmen or invite her to speak at an event. On The Reconnect, our mission is to bring God back into the conversation– to “reconnect” the eternal with the everyday. But it matters little if we reconnect with one another if we fail to reconnect with God. This is the most important re-connection we will make. Find out how you can Reconnect with God. Listen to recent shows online. Sign up for email updates from Carmen LaBerge to receive weekly podcasts and other content in your email.